RJ45 Connector: What It Is and How It Differs from RJ11? Everyone by now has seen an RJ45 connector many times, especially if they’ve ever had to plug an Ethernet cable into a router. “RJ” stands for registered jack and 45 is merely the number assigned to the interface standard. Some people might confuse it with an RJ11 connector, which is used for telephone lines. Here are the differences between RJ11 and RJ45 connectors with magnetics. An RJ45 plug is the end of an RJ45 cable and connects to an RJ45 modular jack on an RJ45 network interface card. This consistency applies to RJ11 as well, in terms of the names of its plug, cable, jack and network interface card. 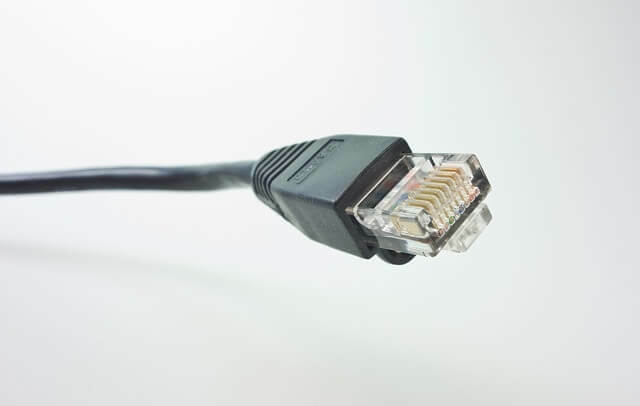 A cat 6 cable is often synonymous with an RJ45 cable and always connects to an RJ45 jack. The main visual difference between the two connectors is that RJ45 is wider since it comprises eight wires, while the RJ11 has four. The plug is described as having a “crystal head” due to its transparent appearance made of plastic, allowing one to see the internal eight pins on the port. Four of these pins facilitate sending and receiving data. Even though the RJ45 and RJ11 connectors look similar and come from the same RJ family, they should never be thought of as interchangeable. If you plug an RJ11 plug into an RJ45 jack, for example, it can potentially damage the equipment. The RJ45 is commonly used for LAN and ADSL connections. It is very common for connecting computers, networks, telecommunications and factory automations. It’s important to note that there are two standards for the RJ45 connectors: T568A and T568B. It’s necessary to use the appropriate standard for equipment compatibility. T568B is now the more widely used standard. The difference is in the pin colors, such as pin #1 is white with an orange stripe on the T568B, versus white with a green stripe on the 7568A. RJ45 connectors with magnetics differ from RJ11 connectors in applications and should not be mixed up. Luckily, they are easy to differentiate due to the wider width of the RJ45.